Day 5 – hungry and slow today, but the best news is I’ve realized I’ll have enough food for the week! I’ll have enough lentils and apples. For breakfast was apple cinnamon oatmeal (again), and leftovers from last night for lunch (brown rice, lentils, and spinach). I had some peanuts for a snack – forgot to take a picture. 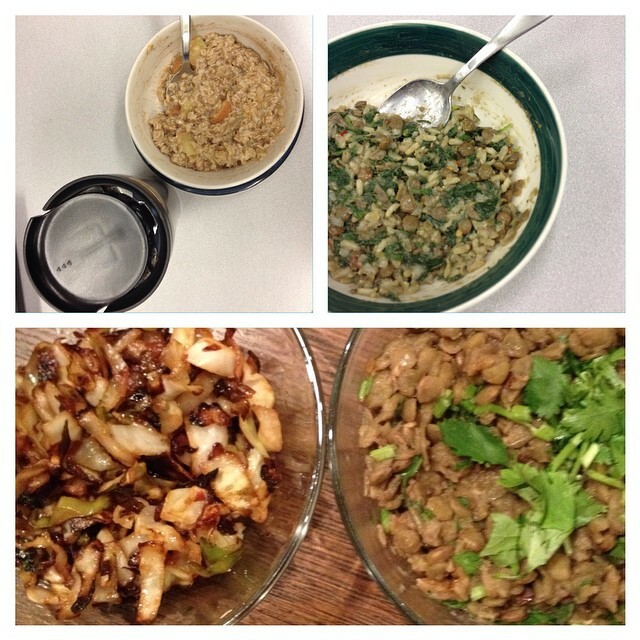 Dinner was caramelized onions and cabbage, and a lentil dahl with cilantro and garlic. Category: 2014 Day 5, 2014 Welfare Food Challenge, 2014 WFC Participant Blog Tags: Kate H.